September 13, 2012 -- After a steady flow of skeptical reports over recent months, a new review of breast cancer screening services in Europe has concluded the benefits in terms of lives saved outweigh the harms caused by overdiagnosis, with screening mammography cutting breast cancer deaths by as much as half. Published 13 September in a special supplement of the Journal of Medical Screening, the results from the European Screening Network (Euroscreen) working group show that for every 1,000 women screened every two years from the age of 50 to the age of about 68-69, between seven and nine lives would be saved, and four cases would be overdiagnosed (J Med Screen, September 2012, Vol. 19[suppl 1], pp. 5-13). Stephen Duffy, a coordinator of the Euroscreen working group, has co-authored articles with Dr. László Tabár, the Hungarian-born breast radiologist based in Falun, Sweden. All images courtesy of Queen Mary University of London. "This is the only comprehensive review of the results of breast screening services in Europe. 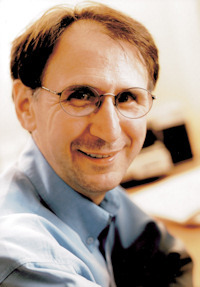 It reports results from screening millions of women, and confirms that the screening services are delivering the benefits expected from the research studies conducted years ago," said Stephen Duffy, professor of cancer screening at the Wolfson Institute of Preventive Medicine, Queen Mary University of London, a coordinator of the working group and co-author of the supplement. "In particular, it is good news that lives saved by screening outweigh overdiagnosed cases by a factor of two to one." Working group members -- who include corresponding author Dr. Eugenio Paci, director of the Clinical and Descriptive Epidemiology Unit, ISPO, Cancer Prevention and Research Unit, Florence, Italy -- come from nine European countries where outcomes of screening programs have been assessed. They reviewed the estimates of benefit in published European studies in terms of breast cancer deaths prevented, and the major harms, especially "overdiagnosis" of cancer. A second working group -- European Network for Indicators on Cancer (EUNICE) -- reviewed the organization, participation rates, and main performance parameters of 26 screening programs in 18 countries, involving 12 million women, between 2001 and 2007. The reports from both working groups contributed to the review. The researchers also found that for every 1,000 women screened, 170 women would have at least one recall followed by a noninvasive assessment before absence of cancer could be confirmed (a negative result), and 30 women would have at least one recall followed by invasive procedures, such as a biopsy, before confirming a negative result. "By weighing up the pros and cons of breast cancer screening programs we hope to ensure that women are fully aware of the chief benefits and harms and can make a fully informed choice when they decide whether or not they wish to attend screening," Paci noted. "There has been quite a lot of discussion recently over the worth of breast cancer screening and for this reason it is timely that the international group of experts has assessed the impact of population-based screening in Europe and has found that it is contributing to the reduction in deaths from the disease." 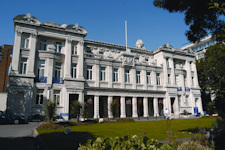 Queen Mary has its roots in four historic colleges: Queen Mary College, Westfield College, St. Bartholomew's Hospital Medical College, and the London Hospital Medical College. Shown here is the Queens Building. The authors aimed to construct a European "balance sheet" of key outcomes of population-based mammographic breast cancer screening programs, to inform policymakers, stakeholders, and women invited for mammography. Pooled estimates of breast cancer mortality reduction among invited women were 25% in incidence-based mortality studies and 31% in case-control studies (38% and 48% among women actually screened). Estimates of overdiagnosis ranged from 1% to 10% of the expected incidence in the absence of screening. The combined estimate of overdiagnosis for screened women, from European studies correctly adjusted for lead time and underlying trend, was 6.5%. For women undergoing 10 biennial screening tests, the estimated cumulative risk of a false positive followed by noninvasive assessment was 17%, and 3% for an invasive assessment. The chance of saving a woman's life by population-based mammographic screening of appropriate quality is greater than that of overdiagnosis, according to Paci, who now wants the group's findings to be communicated to women offered breast screening in Europe. In addition, communication methods should be improved in order to raise women's awareness and to make information more accessible, relevant, and comprehensible, he said. "These results are intended to help a woman who is invited to screening to make an informed personal choice about the possible outcomes and the implications of participating in screening," the authors stated. "Population-based mammographic screening is contributing to the reduction in breast cancer mortality in the EU, achieving a mortality benefit at least as great as that observed in the RCTs [randomized controlled trials]." Financial support for the study was provided by the National Monitoring Italian Center (ONS) to host the Euroscreen meetings in Florence in November 2010 and in March 2011 and the supplement publication and the National Expert and Training Center for Breast Cancer Screening, Nijmegen, the Netherlands to host a meeting of the Euroscreen mortality working group in July 2011.